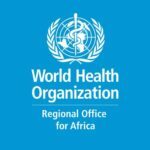 The WHO Regional Office for Africa is one of WHO’s 6 regional offices around the world. It serves the WHO African Region, which comprises 47 Member States with the Regional Office in Brazzaville, Republic of Congo. As the lead health authority within the United Nations (UN) system, we work with the Member States in the African Region and development partners to improve the health and well-being of people.